One of the best things about the new attestation for the Canada Summer Jobs program -- besides cutting off funding to anti-choice and anti-LGBTQ organizations -- is that it represents a strong message that respect for women's and LGBTQ rights is NOT a matter of opinion. And the corollary is that anti-choice is a fringe position. Anti-choice seeks to deny and rescind rights that the vast majority accepts. On Twitter, @Prochoiceldnont made a similar point. This is the incident of unprovoked violence against a pro-choice activist referred to. As long as the anti-choice position is accepted as a legitimate "opinion," some people will feel justified in resorting to violence. Another factor fuelling anti-choice violence is the outrageous lies they repeat over and over. The Colorado shooter who killed three people at a Planned Parenthood clinic talked about "no more baby parts." He was referring to the faked up videos of Planned Parenthood "harvesting" fetuses. This story has been debunked repeatedly. But it still appears regularly in the anti-choice media. And people actually believe that such "harvesting" did and does take place. Another zombie lie is the breast cancer = abortion BS. That one too is still going around, despite being refuted by every reputable cancer research organization in the world. (I'm not even going to put a link here.) Anti-choice is anti-science. And out of step with the 21st century. 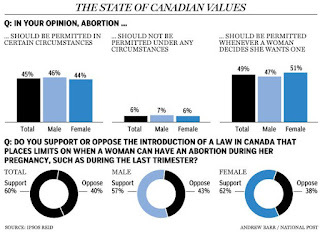 A further indication that anti-choice is a fringe position is polling numbers. 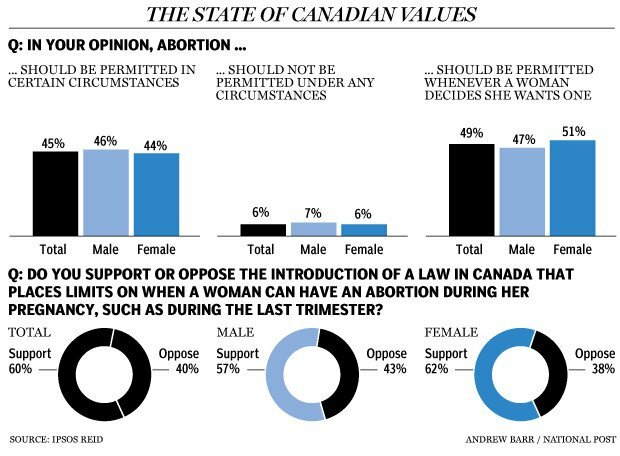 In Canada, a persistent 5-7% want abortion banned altogether. The vast majority of us accept that is it a necessary medical procedure, of course covered by medicaid. Last year's March for Lies was the smallest ever. About 4,000 people arsed themselves to get to Parliament Hill to stomp their tiny irrelevant feet. 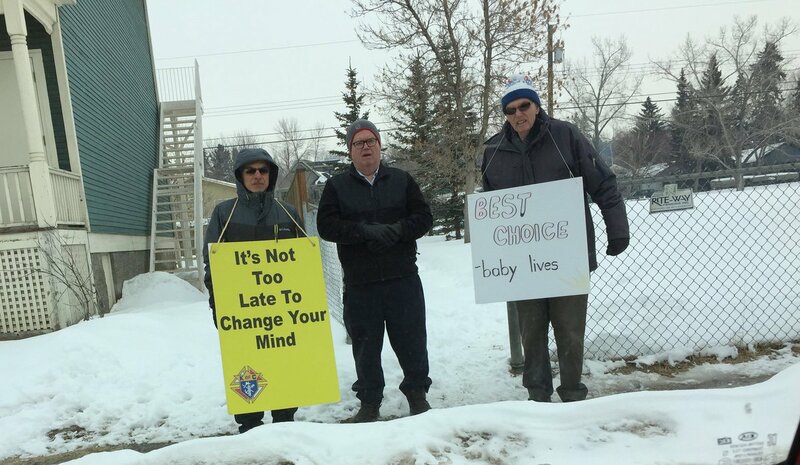 Even in Saskatchewan, home of Brad Trost and Maurice Vellacott, anti-choice is becoming increasingly fringey. When candidates for the Sask Party mused about limiting abortion, the outcry was so swift and loud, they immediately walked it back. 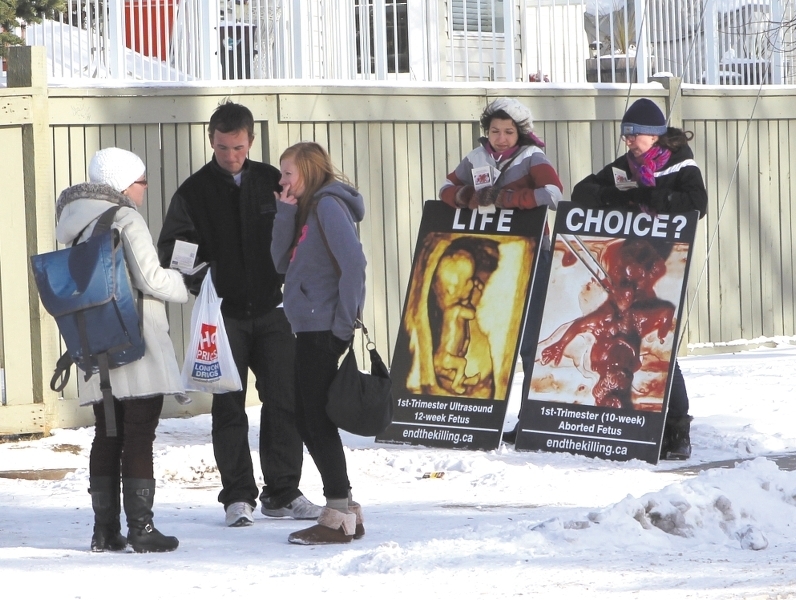 Not only can anti-choice not mount a respectable protest in Ottawa, their demos at clinics and on street corners are increasingly pathetic. 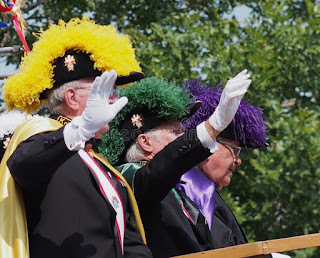 Of course, they can always rely on the guys in the capes, ostrich plumed hats and swords showing up. So 2018. They are anti-science -- well, legitimate science -- so they fabricate and pay for BAD (biased, agenda-driven) science of their own. Here's a gallery of US "false witnesses" ready to lie on cue. They are often cited by Canadian fetus freaks. But we also have our own BAD science organization, the DeVeber Institute, recipient of almost $194K from the Canada Summer Jobs program from 21 different ridings, courtesy of all three major parties. The trend is clear. Anti-choice has fewer facts, fewer adherents, more violence, and less mainstream acceptance. It is already a fringe movement. We look forward to its demise. On Twitter, we've been using #AntiChoiceIsFringe. We welcome other examples here and/or on Twitter. ADDED, March 11/18: Super Fetus Freak Brad Trost loses his nomination contest. Even Conservatives can read the writing on the wall.